Hello from Quito! This is Wally and I am happy to report that the entire team has arrived safely here in Quito and they are all ready for their exciting adventure. Steve was the first of the group to arrive. 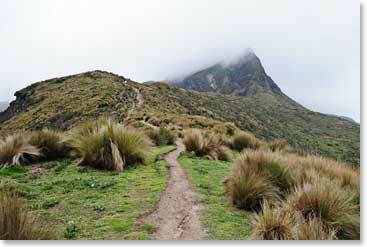 On Saturday he headed for Otavalo which sits at 2500 metres or 8202 feet above sea level. He went ahead of the group so he would have plenty of time to visit the famous Otavalo Market. 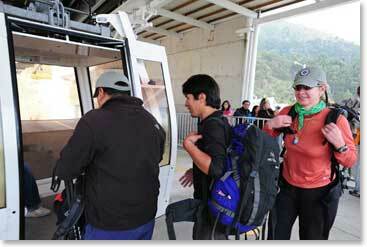 While Steve headed for Otavalo, Phillipe and Line enjoyed an acclimatization hike to the top of the Telephrique. Leila and I did the same hike the day before and it was spectacular! We made it to the summit of Rucu Richincha (4627metres/15,181feet). A perfect hike to get our trekking muscles prepared for the days ahead. Later in the evening Richard and Bob arrived from Houston and got settled into our hotel for the night. 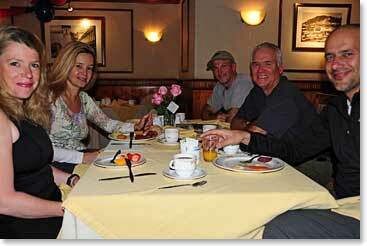 This morning the whole group enjoyed a wonderful breakfast and shared stories from previous BAI adventures. 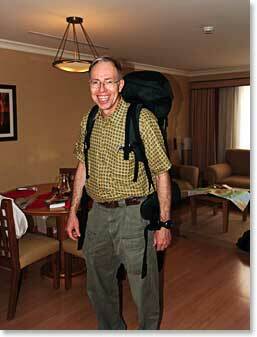 We are all very excited that this adventure in Ecuador is finally underway! We are now getting ready for our 2 ½ hour drive through the countryside to Otavalo where we will meet up with Steve and see the sights. Bye for now!